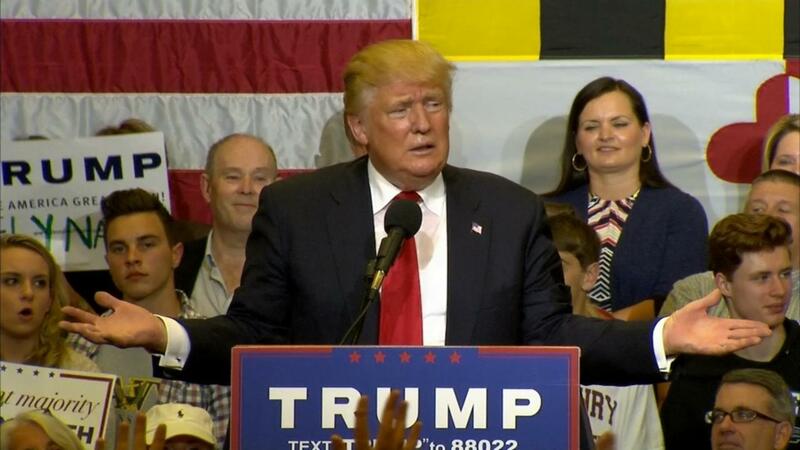 One night after a convincing win in New York, Donald Trump was in Maryland to make his case to win the nomination from the Republican party. Last week, Trump had a foot-in-mouth moment when he brought up Joe Paterno and asked how he was doing while stumping in Pittsburgh. Today, the Donald had another regrettable football-related moment. Trump asked the crowd about Tom Brady and how they all love them. That would have played really well in Boston and the greater New England are. But it didn't sit so well for the pro-Baltimore Ravens crowd. "We love Tom Brady, right?" asks Trump. Maryland crowd, full of Ravens fans, boos loudly. Trump just can't get Brady off his mind for some reason. Brady was seen with a Trump hat in his locker during the season, Patriots owner Robert Kraft and coach Bill Belichick are both friends with Trump, so maybe he thought he was in Boston and not Maryland? Who knows, maybe he was just trolling the Ravens and doesn't care about being booed.